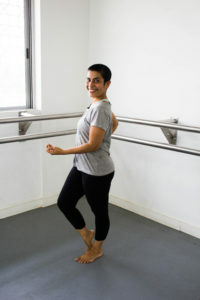 Shilpa is one of the dance moms of TLFCB who began attending ballet classes years after her daughter started dancing with us. Suffering from a knee injury in 2015, she decided to come to Callanetics to get back on her feet last spring. That is where her own journey with ballet began. – Give us a little background about yourself. By profession I am a writer, but I stopped commercial writing when Maya was born. I specialise in the craft of literary writing, helping new mothers to breastfeed and baking organic wholegrain breads. I teach these skills freely to anybody who is genuinely interested. Since Maya doesn’t attend school, a lot of hobbies and interests are done together at home. Literature and writing are two of the main activities we enjoy together as well as baking and cooking; and since I’ve started dancing, each day has been filled with that. Maya is very self-motivated when it comes to dance so we practice everyday, and after each class she comes home and teaches me all that I can learn. – How old was Maya when you first enrolled her for ballet classes? What inspired this decision? Actually, it was Maya’s decision to join ballet. Upon turning 6, she was asked to choose any classical dance to learn. She chose ballet. At first my husband and I were quite taken aback by her choice as we first expected her to pick an Indian classical form; but she was sure about her decision and so that’s when we found TLFCB. Actually, I watched my first ballet when I was in my 20s. I was in Paris and on a whim, I bought tickets for The Swan Lake. I remember not enjoying the experience one bit and I left the theater during the interval. As I was used to more of the colorful and dramatic forms of Indian dances, this dance with ladies dressed in white, walking on tiptoes and swaying their arms about seemed very drab! So when 16 years later, Maya chose to learn ballet, the irony of it definitely wasn’t lost on me. Because of my daughter’s deep interest in ballet, we made the effort to understand this dance form by reading up and watching a lot of ballet DVDs. Today, 6 years later and many, many, many ballets later, I’ve started attending ballet classes myself and we as a family really enjoy watching it as an art form and now appreciate and understand the nuances of a performance. This has been a very interesting and enriching experience for us as an entire family. – What are the struggles and joys of sending your child for dance? Maya doesn’t go to school so there are no extra burden of studies to cope with. The only struggle I can think of is that in the initial two years, when our earnings were less, we had to cut a few corners to pay her ballet school fees.The joys are too many to enumerate; suffice to say that The Lewis Foundation of Classical Ballet holds a very special place in our family’s life. – What benefits and growth do you see in your child since she started dancing? Ballet has taught her the importance of putting in effort to get the basics right first and only then building upon it. We have noticed her applying this learning subconsciously to most things that interest her – be it swimming, writing, music or stitching. – When did you start callanetics, ballet and jazz? How has it made a difference to you? I joined Callanetics last May. In 2015, I had suffered a bad knee injury while trekking; it took two painful years to recover. As a result, I had a limp and my lower body had become very weak. I thought I would try Callanetics to strengthen my legs. 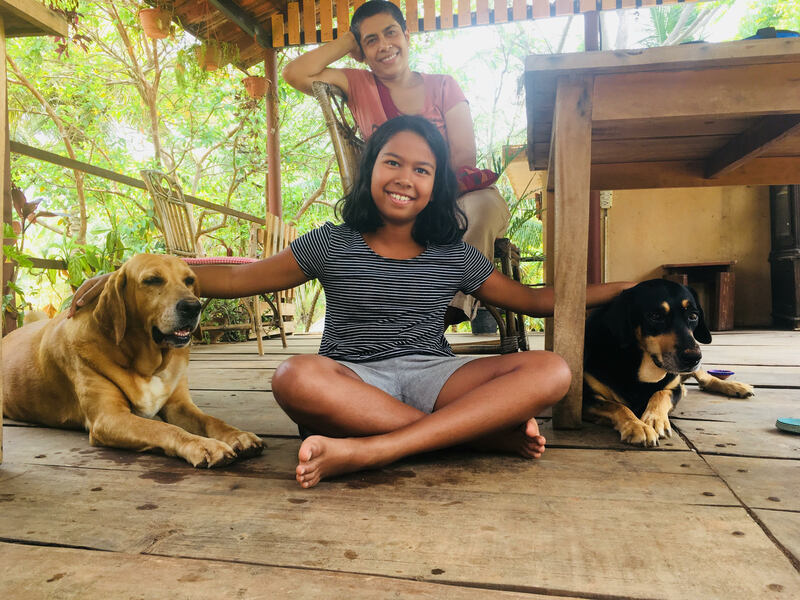 The difference that Yana’s class made to my legs was extremely dramatic – in less than six months, I was able to go trekking and now my whole body has become really, really strong. With dance I think I got greedy; having gained so much strength in my upper and lower body, I wanted to put it to some constructive use! Also, in these 5 years of ferrying Maya to her dance class, I had begun to observe that the manner in which her teachers carried themselves was very different from most other adults. Their poise and easy relationship with their physical selves was certainly in complete contrast to how I had perceived my body until now; as just a heavy receptacle that I lugged around, in order to carry my brain. So I thought – why not learn how to dance? I am very curious to see if I too can eventually experience at least some of that gracefulness and sense of ease with my body. As for the dancing; I hope that too will happen eventually. – What are a few struggles and impacts? What have you learnt from it all? Well, I have learnt that it is perfectly okay to make an utter fool of myself – on almost all days, I don’t get the steps right, I am always losing my balance and I haven’t yet told the teachers that I am tone-deaf! And yes, it does take a lot of courage to watch myself in the mirror, attempting to dance amidst other lithe, young dancers. I’m blessed with a set of teachers that are incredibly kind and patient and all my classmates are very, very helpful. So from my end, I make sure that I show up for every class and pay attention. 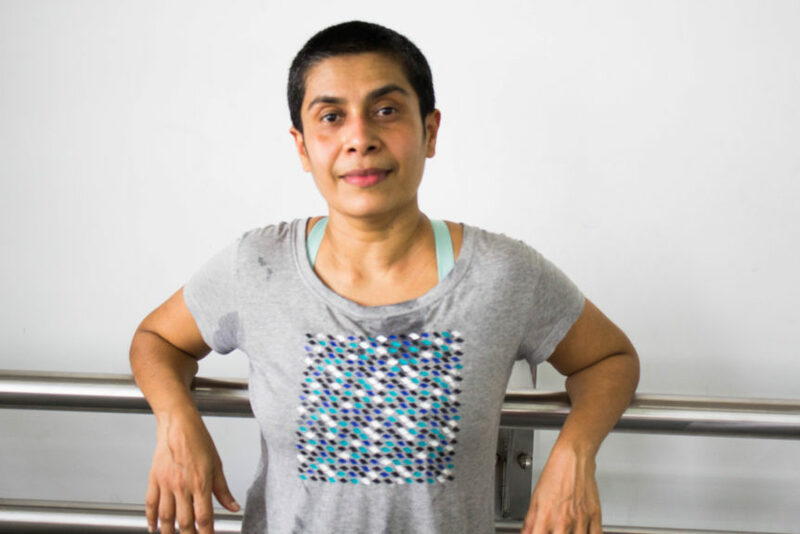 Initially I started with jazz alone, but I struggled a lot; both my body and my mind couldn’t keep up or comprehend with the pace at which the classes went. I didn’t believe I had it in me to pick it up as some others can. That’s when I spoke to Yana and asked what I should do to build a foundation and get my basics right. To this she said ballet is where I had to start, and once I started it helped me so much. I felt it was more paced at a level that I could work along with. In terms of being a mother it’s also helped me become a lot more empathetic with my child. When she used to come home and tell me how exhausted she was, I could never truly understand why just one hour of dancing could leave her feeling as if she’s danced all day. Going through classes myself I can now completely relate to that feeling. We watch a lot of ballets together but actually taking class and progressing in a dance journey together gives us so much more to talk about; and helps us connect and develop a deeper bond. She’s become a mini dance mentor to me. Growing up I’ve always been the teacher and guide so it’s quite nice to see her take up the reversal of roles. Are you interested in becoming a dancing mom? Click here to register. Very Nice Mom & Daughter story. Wish Shilpa Many Happy Returns of the Day !! !